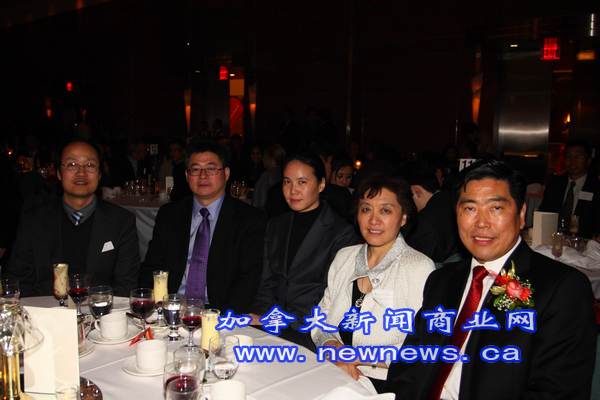 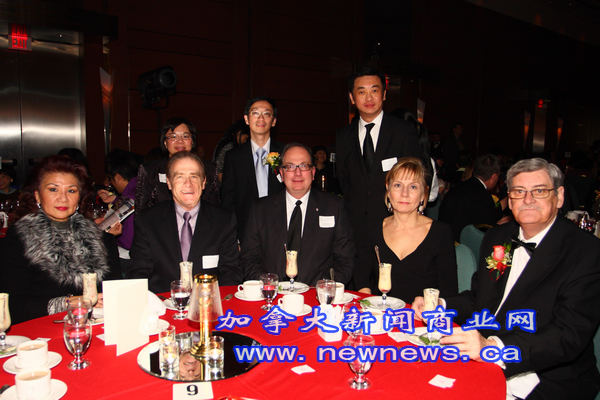 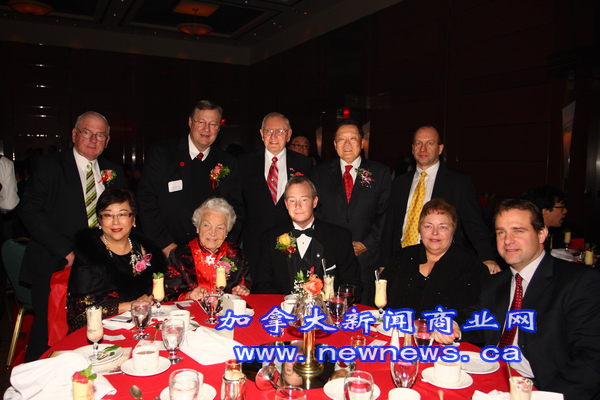 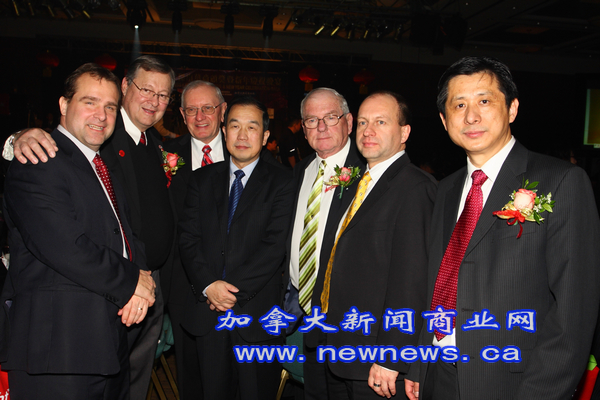 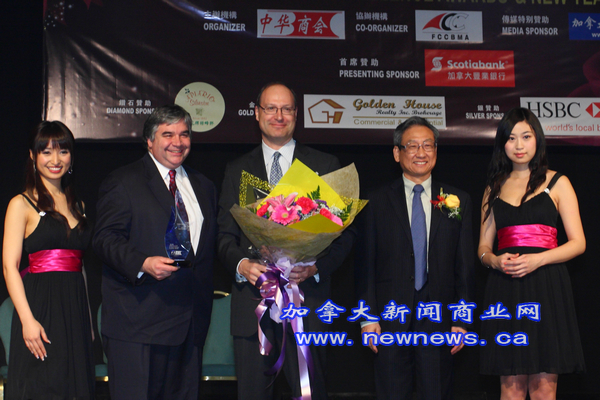 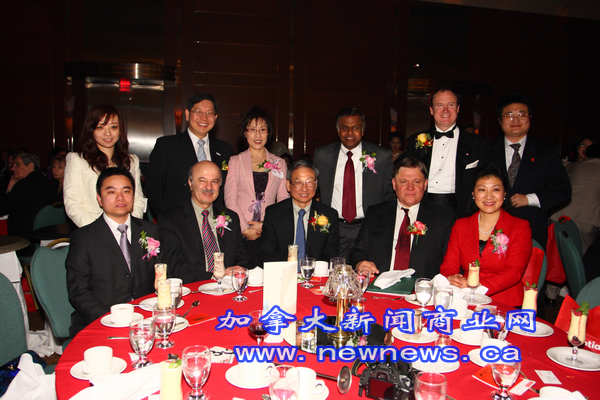 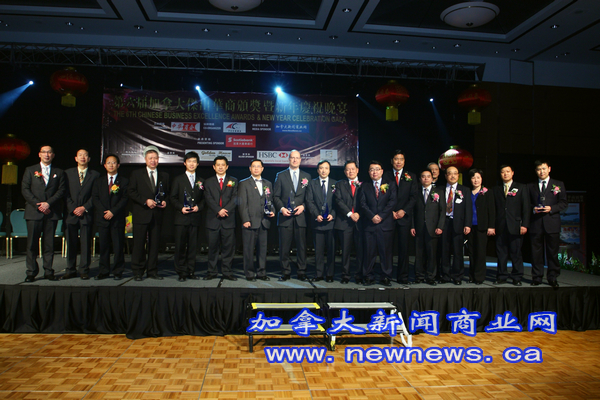 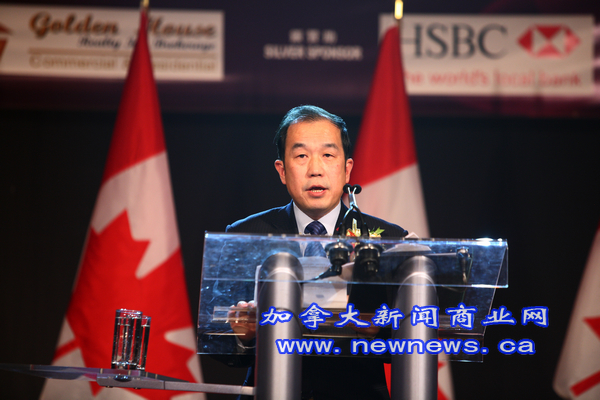 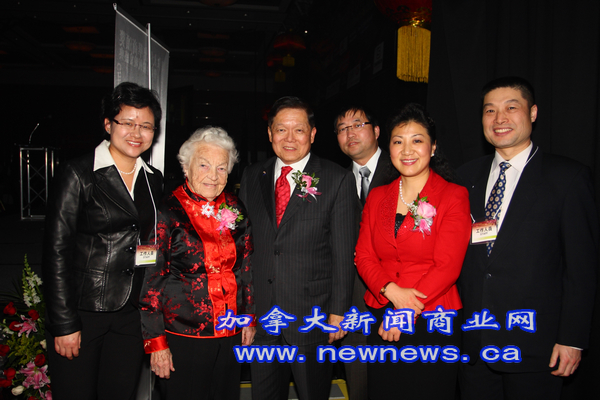 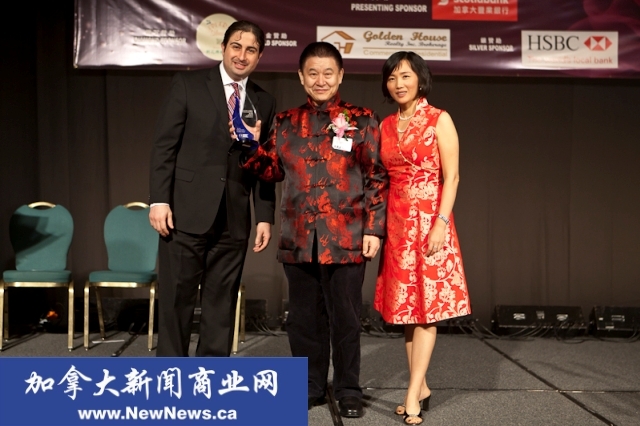 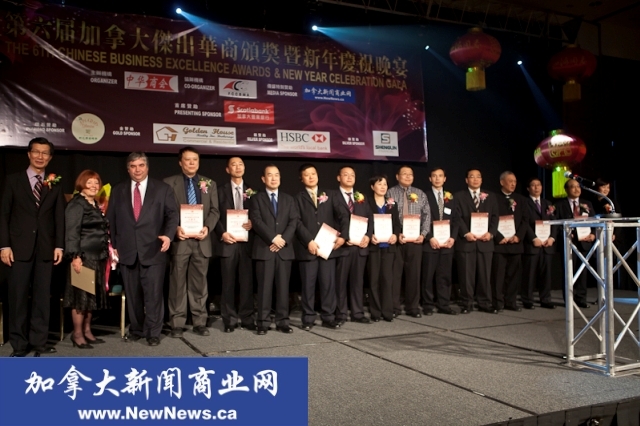 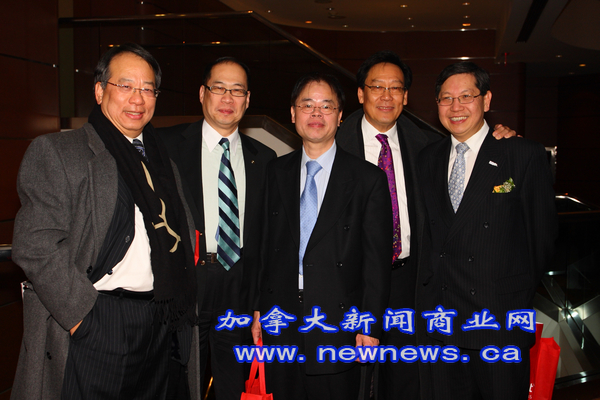 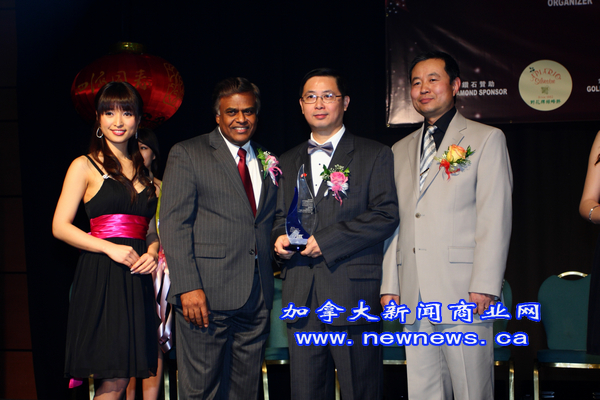 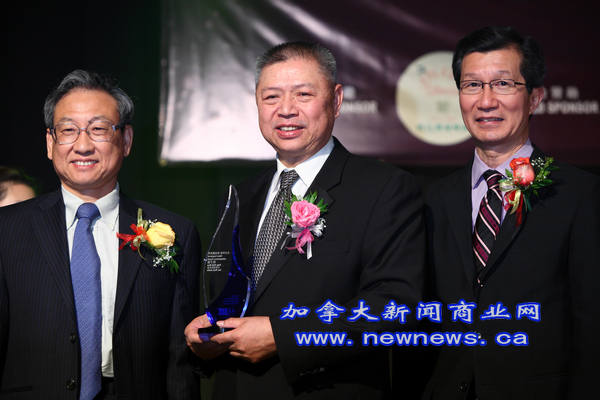 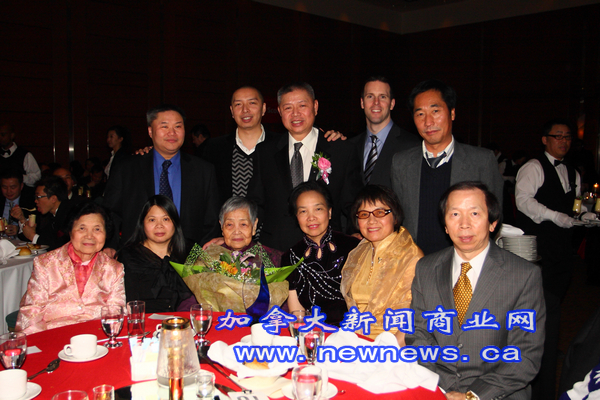 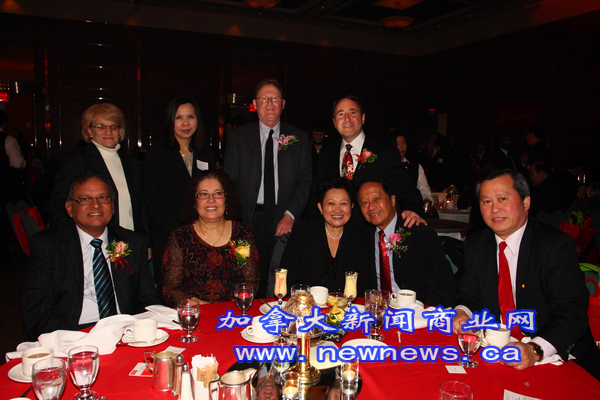 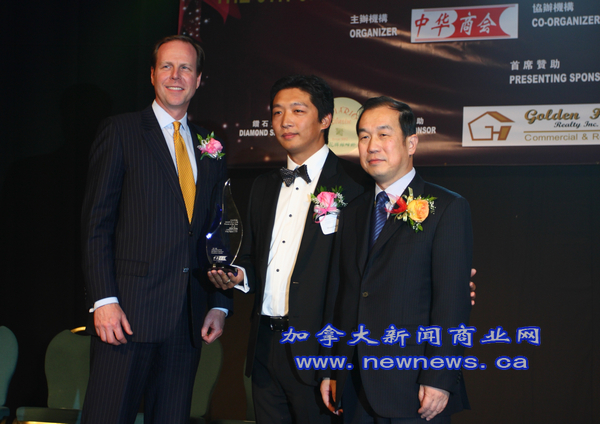 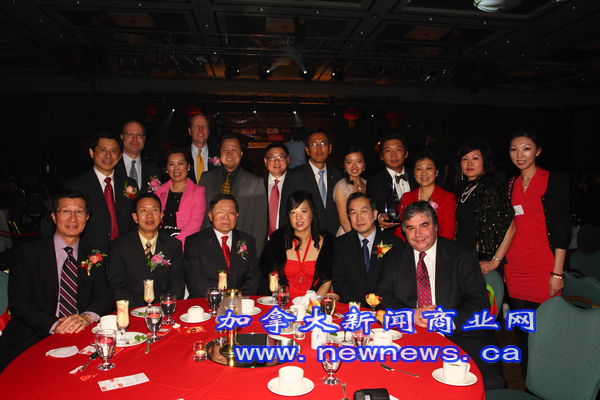 The CBCC's 6th Chinese Business Excellence Awards & New Year Celebration Gala was held 6-11pm, Friday, Jan 21, 2011 at Hilton Hotel, 8500 Warden Avenue Markham, ON L6G 1A5, Canada. 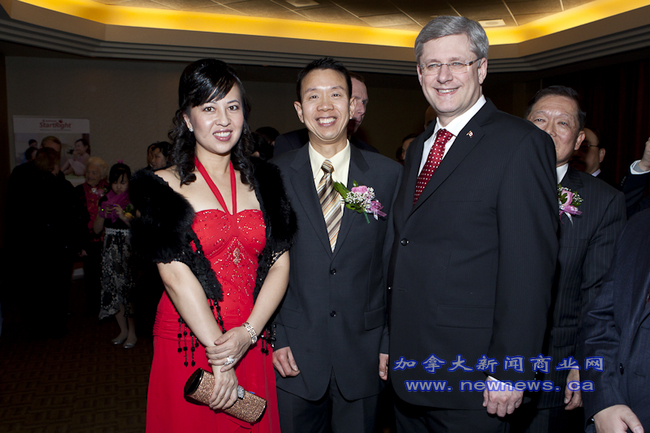 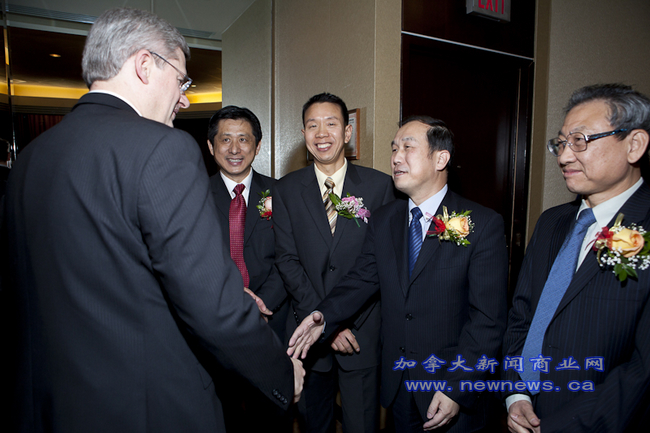 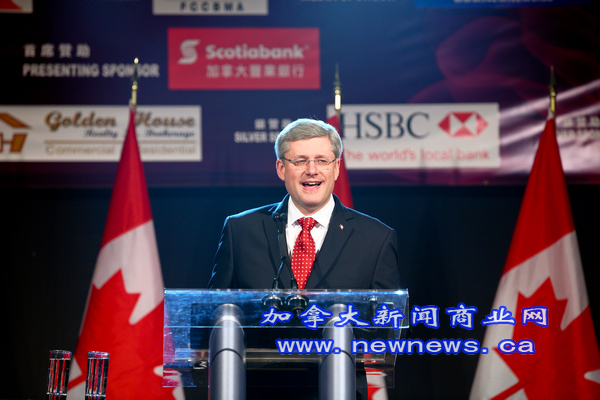 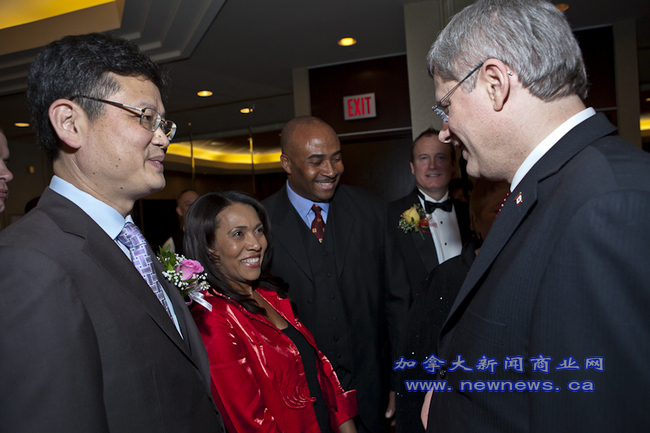 Over 700 guests including Prime Minister Stephen Harper attended the event. 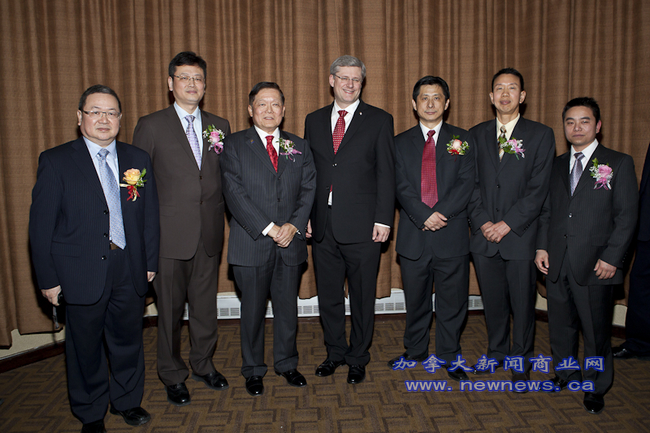 In his speech the Prime Minister extended his best wishes for celebrating the Chinese New Year, commended the Chinese Business Chamber of Canada for its great work done for the community over the years, and congratulated the Award recipients for their successes in Canada. 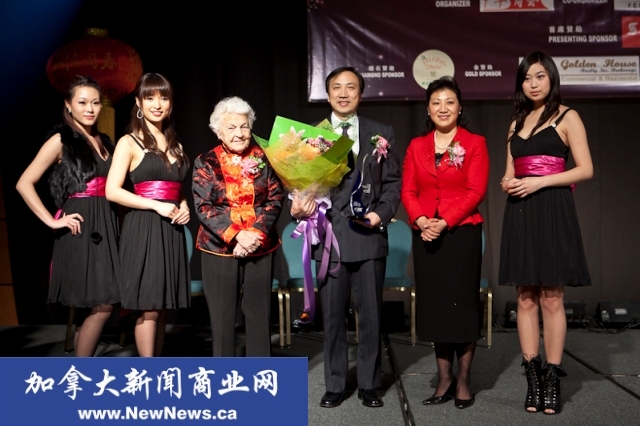 As the annual event is held early in the year, it is always one of the largest in the Chinese community during the season of Chinese new year celebrations in the Greater Toronto Area. 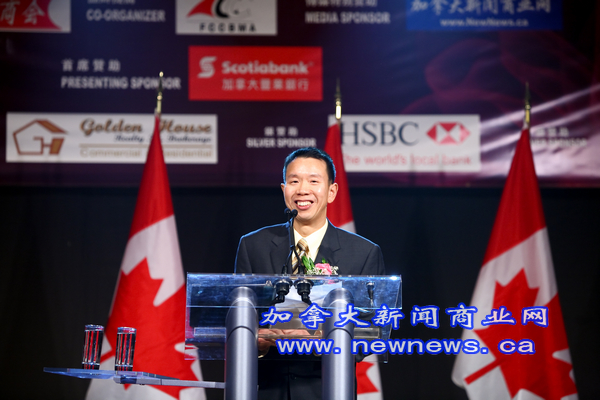 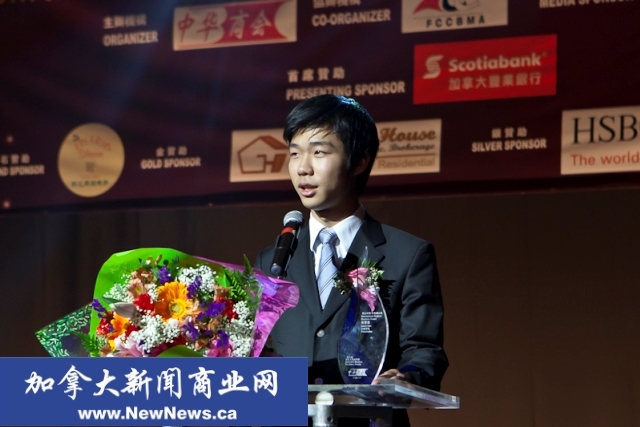 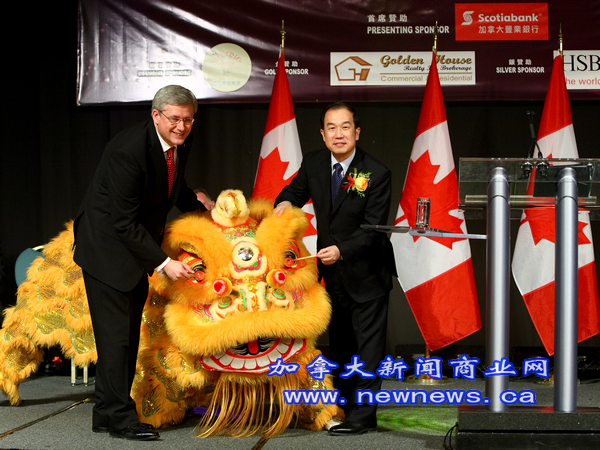 As always, the event was covered by all major Chinese media in Canada including TVs, daily newspapers, weekly news, web TVs and Web news. 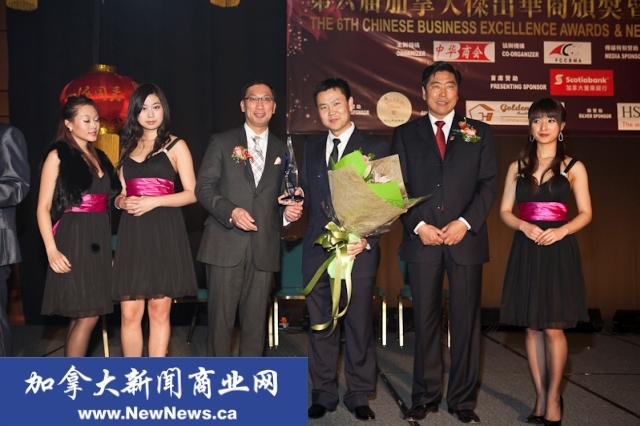 You-Zhi Tang (2nd from right), Canada Clean Tech Capital Inc.
Bob Guo (3rd from right), Goldenmount capital Interational Inc.
Ben Jun Wu & Benjamin Balance Treatreant Centre Inc.
Alvin Wang, King Square Ltd.